Purple is one of my favorite colors and these four pairs are rockin' the Purple. 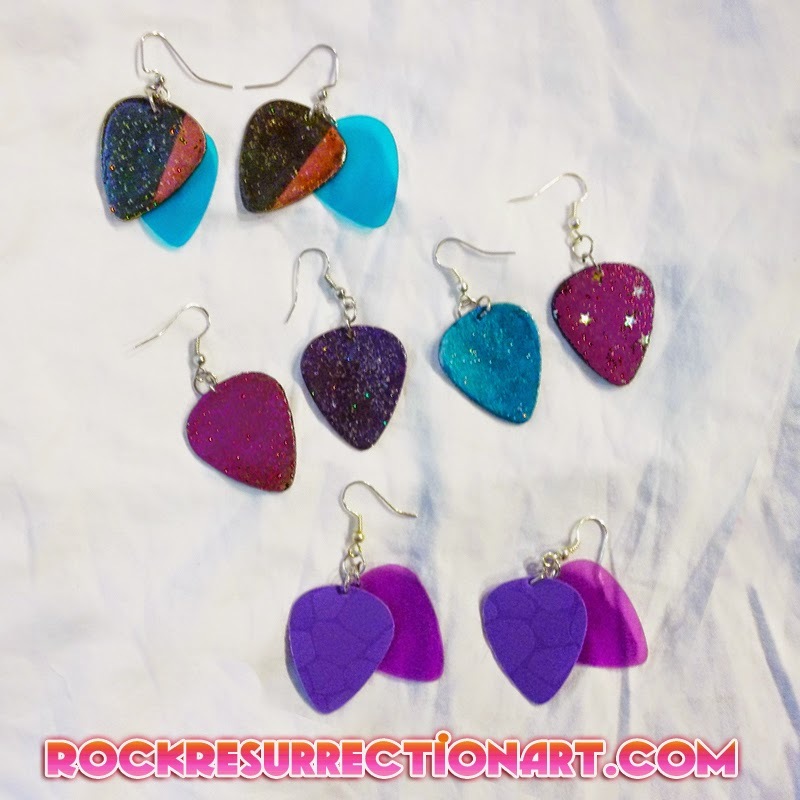 These earrings are made out of purple glittery material and each one is unique. The top pictured is purple and blue with blue picks, the next two are two sided purple and purple and blue, the bottom one is made from two of my different purple plastic colors.